Using natural active components, the unique, rich formula effectively improves the condition of the skin, makin it look beautiful and young much longer. Coral, plankton extract and atlantic algae stimulate cell regeneration and rebuild the structure of the skin during sleeping, enhancing its resistance to the unfavourable impacts of external factors. Argan oil nourishes, regenerates and strengthens the skin, delaying the aging processes. Hyaluronic acid and elastin ensure strong, immediate and lasting moisturising effects, remove fine wrinkles and irregularities, and eliminate the signs of fatigue, making the skin soft and smooth again. The cream is enriched with the innovative Inutec – a natural prebiotic that enhances the effects of the other components, offers a lasting moisturising sensation and makes the skin look beauty and radiant after you wake up. 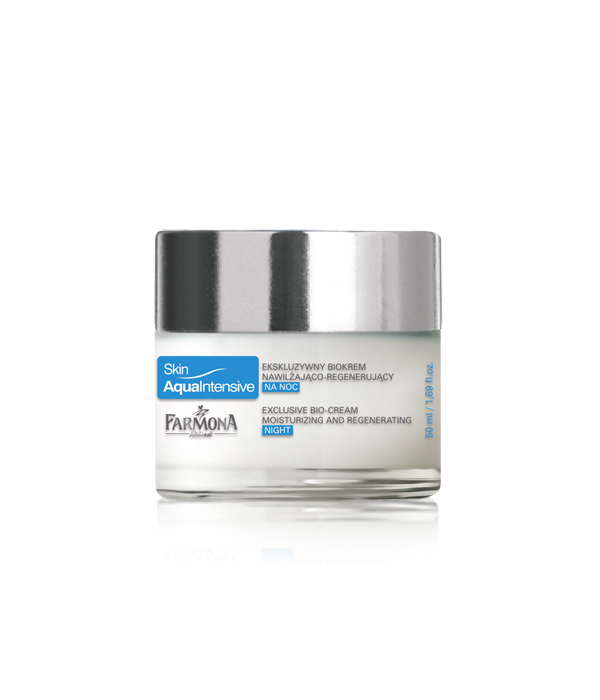 Regular application ensures lasting moisturising effects and supports skin regeneration at night. Additionally, the beautiful scent keeps your skin comfortable, relaxed and calm while you sleep. Massage the Bio-Cream into the cleansed skin of the face, neck and neckline. Use as night cream. Coral, plankton extract, atlantic algae, argan oil, hyaluronic acid, elastin, Inutec.